So you want to be an innkeeper? DINE innkeepers answer oft-asked questions. So, you want to be an innkeeper when you retire? The Distinctive Inns of New England (DINE) innkeepers hear it all the time. It’s the image of merrily baking muffins, greeting guests with lively and interesting conversation, and making new friends like Newhart conveyed in his famous TV show that has us all hooked. Yet, there’s more to innkeeping than meets the eye. Ask the innkeepers at the 12 Distinctive Inns of New England, and they’ll tell you that creating the perfect New England romantic getaway is more work than you can imagine! We at DINE are committed to helping those seeking this rewarding yet consuming career answer key questions about what it means to be an innkeeper. Perhaps along the way, we’ll bust a few myths about innkeeping. Recently, we posted a blog depicting a day in the life of a DINE innkeeper. This helps to give some insight into the multi-faceted profession. These are the five questions we get most often, with answers from our innkeepers’ point of view. What did you do before becoming an innkeeper? This is probably the #1 most often asked questions of DINE innkeepers – all innkeepers for that matter. And the former professions of innkeepers vary as much as their names do. Many had corporate jobs, three were lawyers (one still is, on the side), a few worked as sales people for larger corporate hotel chains, one was an accountant and a hair dresser. 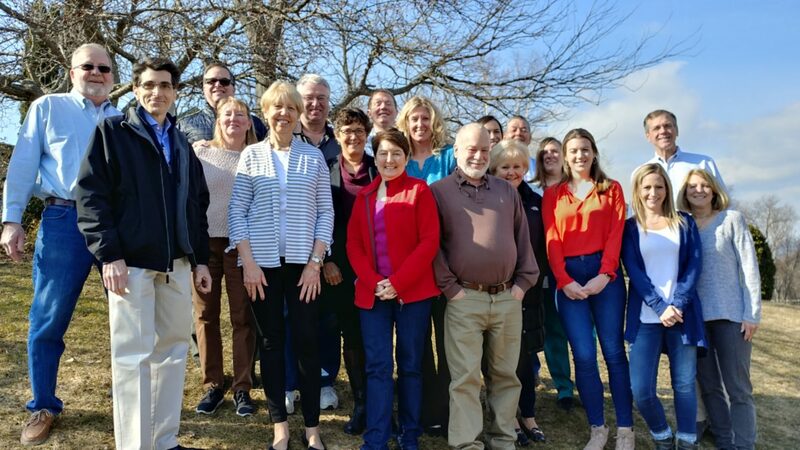 DINE innkeepers were also formerly technology experts in the insurance industry, a physical therapist, a painting contractor, a customer service agent, non-profit executive director, and an attractions owner. 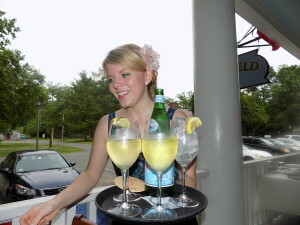 A few of our innkeepers are career hotel/hospitality professionals, having started and stayed in the lodging industry. Why did you decide to become an innkeeper? The majority of DINE innkeepers decided to become innkeepers in order to own a small business. Many will tell you that they wanted to escape the corporate lifestyle and try something completely new. 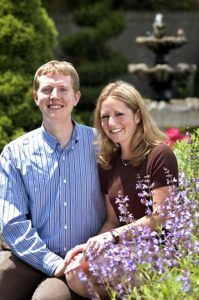 In some cases, like with Bill Bagwill and Nancy Stafford, the idea of a historic renovation at the Cliffside Inn intrigued them. For Brian and Leslie Mulcahy, who spent years as assistant innkeepers at the Rabbit Hill Inn, it was an off-hand remark by prior owners that turned into a dream come true into owning the Rabbit Hill Inn. In the case of James and Jill Meyer, who started out as innkeepers in their low 20’s owning another smaller B&B, it was the challenge of owning a larger property that motivated them to purchase the Captain’s House Inn. Eiran and Michele Gazit were also innkeepers, running another property for the inn owners, and sought to purchase their own inn. When the Gateways Inn went on the market, they jumped on it. 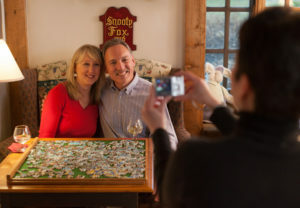 And for Sarah and Erik Lindblom, their decades-old dream of owning an inn came true when they bought the Captain Jefferds Inn, after many other careers were tried,. The stories are as varied as the innkeepers’ former backgrounds. What do you love best about being innkeepers? Ask this question to a room full of DINE innkeepers and the answer is usually unanimous – they love their guests. We hear variations on this theme. Some say they love meeting new people and making friends that come back year after year. Others will say it’s the kindness of guests that enter as strangers and leave as friends. Innkeepers also tell us that they love the variation in the job. We often hear that “no two days are alike,” which makes the job a continual challenge and keeps it interesting. Other DINE innkeepers will tell us that they really enjoy owning a small business and being able to make decisions without being bound to corporate policies. What’s the hardest thing about being an innkeeper? Ask a DINE innkeeper what is the hardest thing about being an innkeeper, and the answers revolve around meeting guests’ expectations and the schedule. When a DINE innkeeper falls short of a guests’ expectation for anything at all at the inn – the bill, the décor, the food, the bed…you name it….they are disappointed. Less than 5-star reviews on TripAdvisor, Google + or BedandBreakfast.com is one of the hardest things a DINE innkeeper faces. They work so hard to make every guests’ experience perfect; when they fall short in their guests’ eyes, it’s tough, and they’ll do anything they can to make it right. Another hard thing about being an innkeeper is the schedule. During peak season – like fall foliage in New England – or holidays like Valentine’s Day, the schedule is grueling. You can bet that the DINE innkeepers have not had a day off in months between the summer and fall seasons. Probably the greatest challenge for DINE innkeepers these days is staffing. There simply aren’t enough people in most of the towns where DINE inns are located to fill the positions at the inns. For those inns in more rural locations, this is even more true! Finding, training and keeping good staff is an even greater challenge than balancing the schedule! Next time you visit a DINE innkeeper, ask them these questions to get a more individualized answer. Plan your next romantic winter getaway at the 12 Distinctive Inns of New England by clicking on links below that will take you directly to each of their websites, and be sure to follow us on social media and email for a deal from each of these inns from December 1-12, 2017. This entry was posted in advice, Captain Jefferds Inn, Captain's House Inn, Chesterfield Inn, Cliffside Inn, Distinctive Inns of New England, Rabbit Hill Inn and tagged answering questions about B&Bs, answering questions about inns, busting the myths of innkeeping, innkeeper career, Innkeeper career advice, innkeepers in New England, innkeepers offer advice, innkeeping career, myths about innkeepers, myths about innkeeping, New England innkeepers, New England innkeepers answer questions, New England inns, so you want to be an innkeeper by DINE Blogger. Bookmark the permalink.